One of my favourite definitions of a gentleman is someone who knows how to play the bagpipes but doesn’t. I hope that explains why few people are aware of my fondness for piping and speaking at Burns Nights, otherwise I’ll have to believe that a strange blast of music has deafened them. 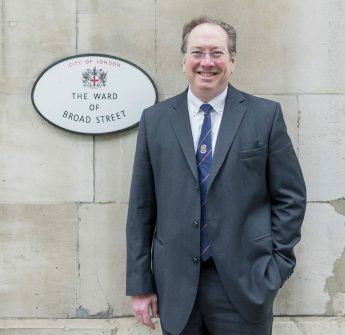 By way of background, I was fortunate to start learning young from three magnificent teachers, Duncan MacCaskill, John MacFadyen, and Sandy Jones. I also had the delight of meeting long-lasting friends such as Tom Netsel and Ray Jarrod. When I was piping competitively I had the fortune of travelling to events such as Grandfather Mountain or even playing pipes that were a few hundred years old. At one point in Orlando, Florida I was practising by Lake Fairview when the owner of Barrett’s Marine asked if I’d move. While I was used to people asking me to “move away, far away”, oddly he was asking me to move in front of his yacht business to attract customers. Barrett’s and I struck a deal that if I practised in front of his shop I could sail for free – thus cementing a lifelong love of boats. 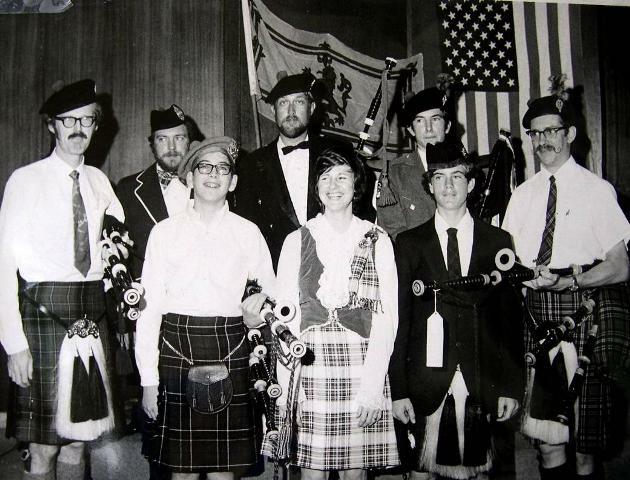 In 1972 an older enthusiast, William “Bill” MacKay, founded the Orlando Pipes & Drums. As early as 1973 we appeared on national television in Charles Kuralt’s “On The Road” CBS series. Charles filmed us on 10 January 1973 (I have the autograph) and we were on tenterhooks all week until it was shown. National television was a big thing in the early 70’s. I became a pipe major far too early when Bill sadly died in an automobile accident, The Orlando Pipes & Drums went on to play at many events, having wonderful times at Disneyworld or Church Street Station. We even had commercial success, so much so that the band bought a boat. Odd that. but was always being teased – about not being Scottish I mean. This year I realised that perhaps a better set of gear for a non-Scottish piper might be an Alderman’s Court Velvet.